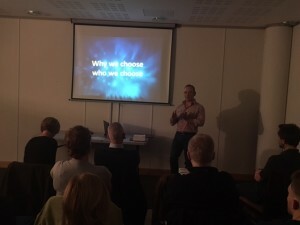 Educational Evening Seminar - Why Supplement? In a world that is so quickly evolving and with so many mixed messages in the heath industry it is difficult to know what is good for your body! Here at Mike Varney Physiotherapy we are proud to not only to be helping the injuries and pains but also your health! 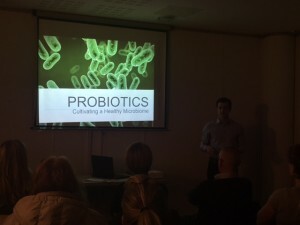 This latest talk was part of a series of educational seminars aimed at helping to understand the facts and fictions of supplements and how they can help in sports or general day life. Can we get all the nutrition we need from a ‘healthy diet’? Can supplements help with sleep, concentration levels and energy levels? Is there scientific evidence for other benefits? How can supplements help fill the gaps? David Griffiths is a biologist with a special interest in health and longevity. He mentors a team of nutritionists and personal trainers including those working for such bodies as England Rugby and UK Athletics. He has been giving talks on nutrition for 15 years and in the last 5 has seen a great change in the way we are starting to talk about health. Matt Sherlock is a dual qualified Osteopath and Physiotherapist based in Mike Varney Physiotherapy, London Hospitals and a St. Albans private clinic. Matt graduated in Physiotherapy in 2006 and spent 2 years working within the NHS broadening his knowledge by working in different physiotherapy specialities. If you missed the seminar and would like more information on supplements, vitamins or minerals please email us at info@mikevarneyphysio.co.uk or alternatively you can phone 01279 414959 to talk to a USANA representative.